Passionate about history and castles, this beautiful vacation rental is for you! You will be 10km away from Descartes and you will have a magnificent view of the Château de Bagneux. The interior of this charming house will enchant you with its exposed beams and stones and you will feel right there at once. 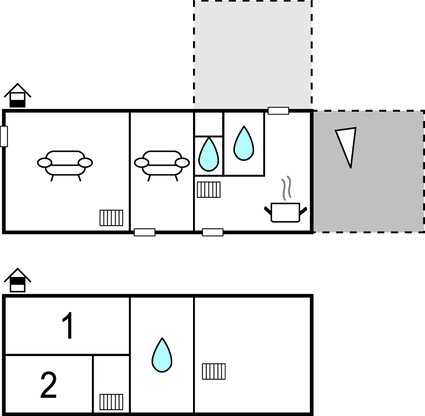 With 3 bedrooms and 2 bathrooms, it offers space and comfort to a large family or group of friends. Your four-legged companions will be able to accompany you in your stay and will happily enjoy the large enclosed garden. You will be in the heart of an area rich in exceptional heritage and can make very beautiful visits, starting with the Château des Ormes a few kilometers. Descartes is a city that is also worth a visit for its Museum dedicated to the famous philosopher. Continuing your route to Sainte Maure de Touraine you can make an interesting stop at the Sentier d'Interprétation Troglodyte before visiting the Chateau-Maison du Patrimoine. Château de Grillemont awaits you a little further east and you will arrive at Loches where you will visit the beautiful Royal City with its Donjon and Saint-Ours collegiate church. Also inescapable, Chinon and its splendid Royal Fortress are also worth a visit. Lovers of fine wines can enjoy tastings in the many famous vineyards around. 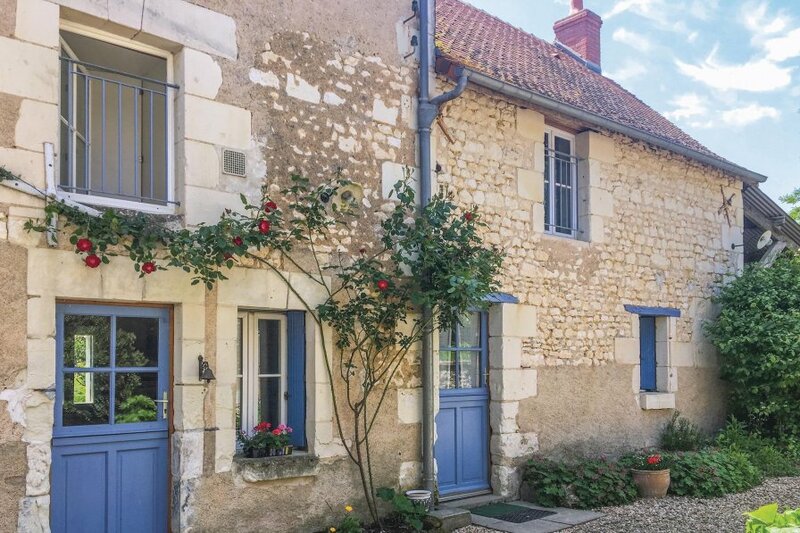 With this charming holiday rental, you will spend a beautiful stay in the Loire Valley. This villa is made from brick or stone and was originally built in 1850 and refurbished in 2016. The agent has rated it as a three star property so it is a well-kept villa, equipped with standard furniture. It is also good value for money. The villaIt is located in Civray-sur-Esves, only 10km from Descartes. The nearest airport is 53km away. It is set in a good location: there is a restaurant 7km away.